It’s Celebration Time with Year End Savings in full swing, and my final class of the year happens later today. I love my classes. Imagine a group of ladies having tea, biscuits and crafting. Picking out things from the catalogue to add to their craft room stash. Thinking of nothing else but the crafting in front of them and chattering away with friends. Even newcomers are chatting away with the others by the end of the first class. We have one thing that binds us together, and that’s a love of all things paper and crafty. I know that today they’ll be asking each other about how their Christmas was, what they got. What they gave and how did their cards go down with the recipients. Did they see Veronica’s advent calendar with a difference? Who saw my Llama socks that I got from one of my fab ladies? The crafting is almost a side benefit to the fact we have a natter, and chat about stuff that makes us happy! We can forget the outside world for 2 glorious hours! Get on with something that keeps our minds busy and gives us the boost of creating something beautiful to take home. We might get inky fingers, but that’s part of the fun! Plus there are bargains to be had, and new catalogues to dive into. So many lovely things have already sold out, this gorgeous paper pack for one. There are savings of up to 20% off retiring products, plus bundles that are not going to be available in the next catalogue. The good news is the stamps and dies used for this card are NOT retiring as they’re in the annual catalogue today. You might have missed them, it’s the Celebration Time bundle (Item 145369) on page 81. I do recommend you grab anything you really want from the current Autumn / Winter catalogue though before it leaves us. Click here to go shopping now. Come on Retreat with Us! Today, I know we will have a great time, but I also know that lots of you live too far away to come to my cool classes. However, there is always Craft Retreat! 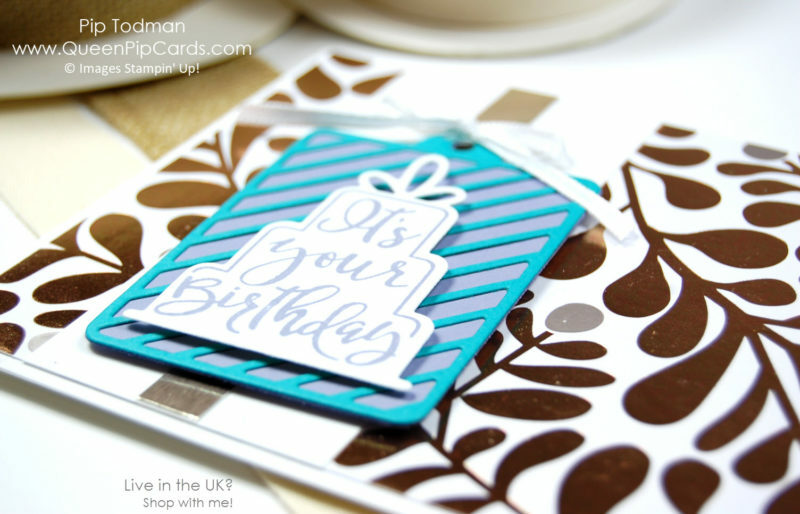 These are one day or a weekend away crafting with 15 crafters who just want the same as you. Crafting & fun! People, particularly crafters I find, are interested about each other and how they’re getting on. What crafting are they doing and what have they learned recently. Especially those who book every 6 months with the same people so they can catch up again! New customers are welcomed in, and by the end of the first evening they’ve already found kindred spirits. 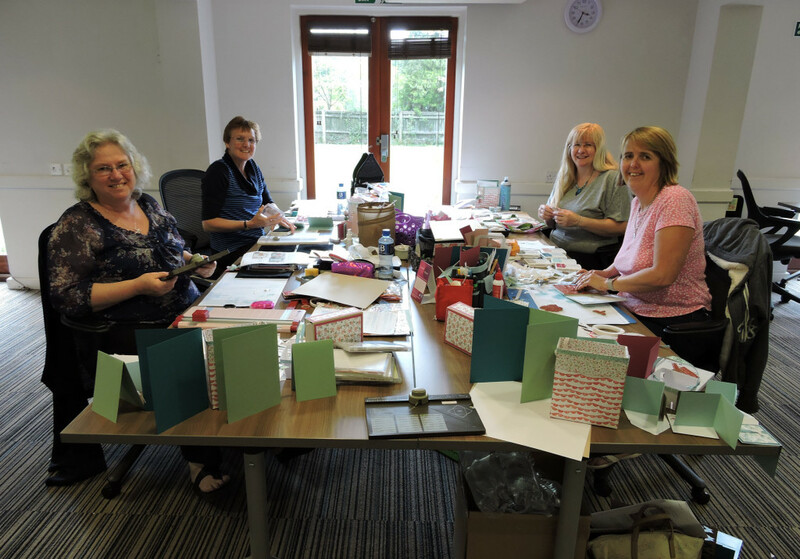 Many of my lovely Craft Retreat customers don’t come to classes, they live too far away, but they enjoy being immersed in the Queen Pip Cards’ crafting experience for a whole weekend. That’s why they come back, again and again. 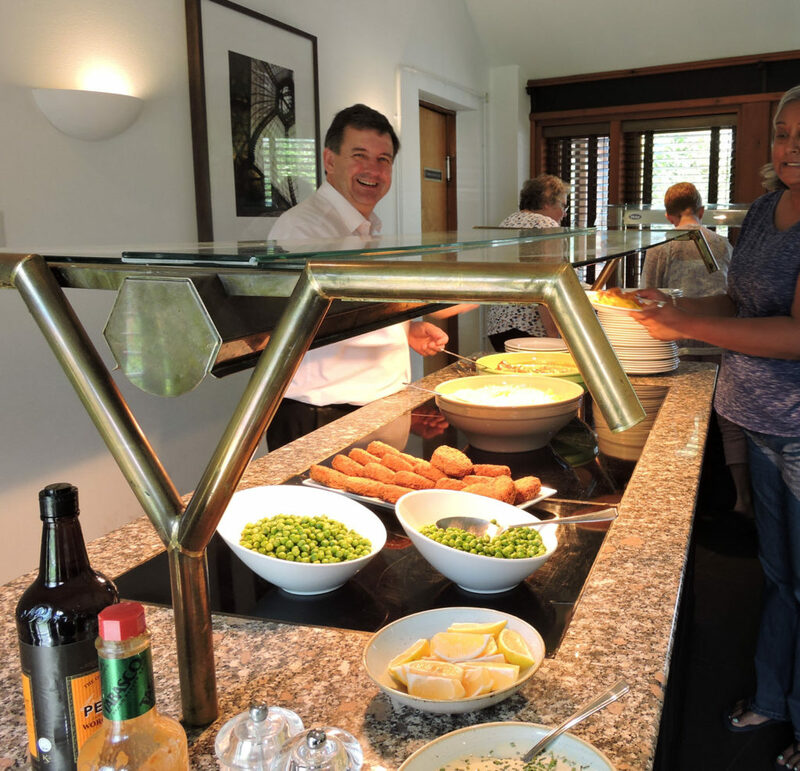 Been on Retreat? Why not COMMENT HERE and tell everyone why you love it so! Time away from the stress and strain of everyday life. A chance to unwind in friendly company, have some glorious food, and do a spot of crafting on the side! I know that mostly my retreats are a social event. We don’t craft in silence (unless there’s some technical stuff happening). Crafting happens while everyone catches up, talks about their current craft projects at home (or in a bag to do between dinner and bed). Tips are swapped & questions asked. They are excited about what gifts they might receive from the Spring Fairy, Summer Sprite or Father Christmas & the elves. Who knows what they’ll be? 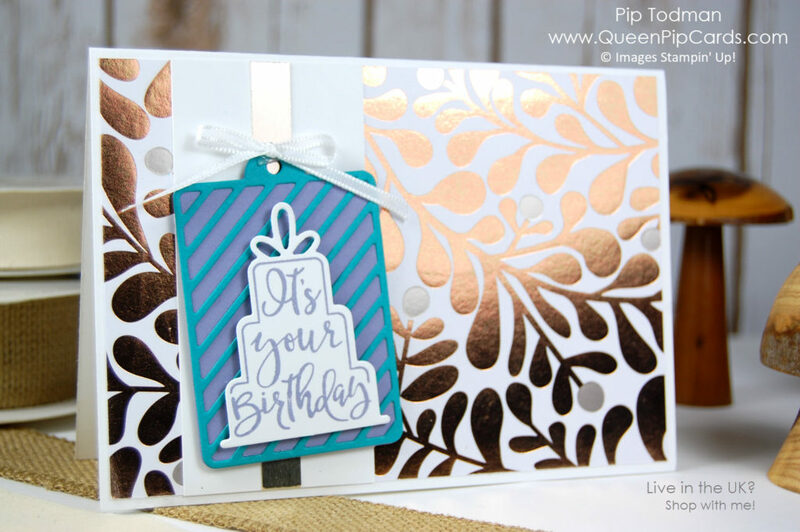 You will get great crafty projects though, with fabulous Stampin’ Up! products to use. Over £110 worth in fact – EACH!! I can guarantee you’ll have stuff to take home plus you’ll have made some beautiful projects. Why not give it a go too? Early Bird Booking Prices end 31st December, so grab the discount while you can! Click here to see the options for one day and weekend retreats. Well, that’s quite enough of me for one day. For those coming this afternoon, I can’t wait to see you. Those of you I won’t see, I’ll be thinking of in the coming days. I cannot thank you enough for being a part of Queen Pip Cards – you are all what makes these experiences so fabulous. It truly is Celebration Time!